Born and raised in Richmond, Virginia, Will Adler is the rhythm guitarist and songwriter in American metal titans Lamb Of God. Forerunners of the new wave of American heavy metal, L.O.G. have been an international staple in the metal scene for more than a decade.  Will is known for his unorthodox playing style, heavy grooving riffs, and use of dissonant chord shapes. 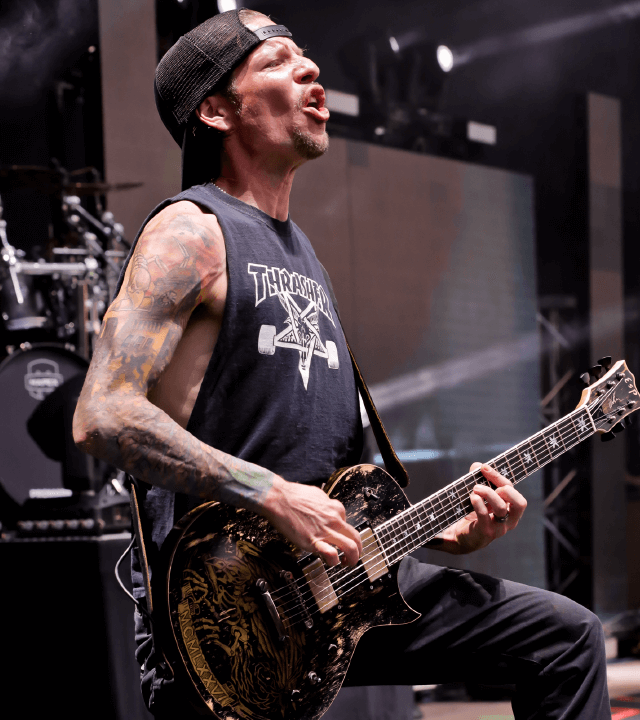 His signature guitars are designed to withstand Lamb Of God’s intense performances and accentuate Will’s dominating playing style. Crafted one at a time by the expert luthiers at the ESP Custom Shop in Japan, the ESP Will Adler Warbird Distressed is as much a work of art as it is an amazing instrument. 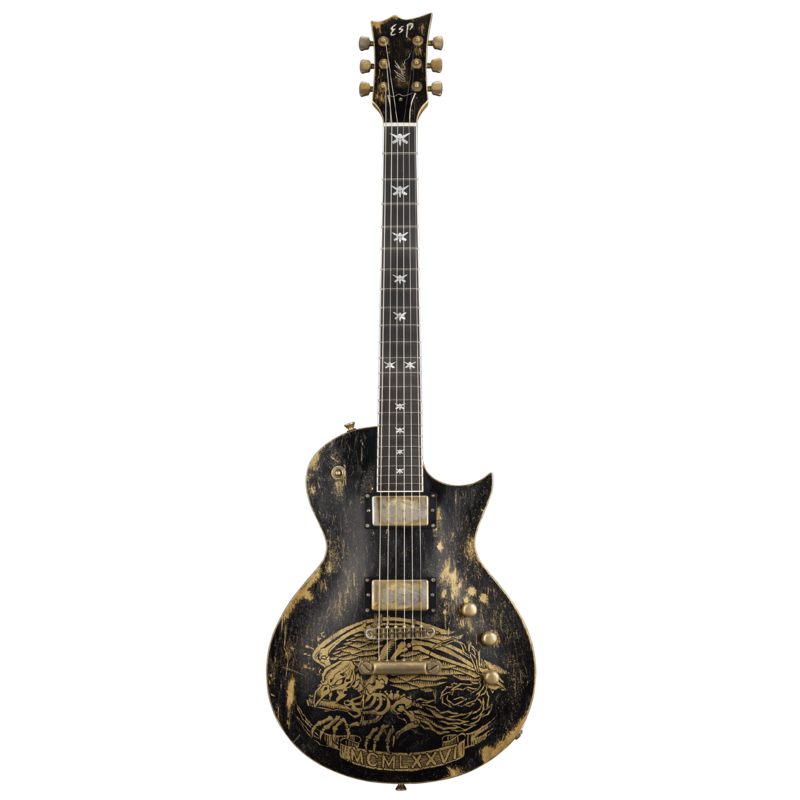 Each model is painstakingly treated to resemble a guitar that has really paid its dues with hundreds of tour stops, recording sessions, and more. This distressing treatment isn't only applied to the guitar's finish; each hardware component (like the pickup covers, controls, bridge and tailpiece) also has the worn-in look that only ESP's artists can create. 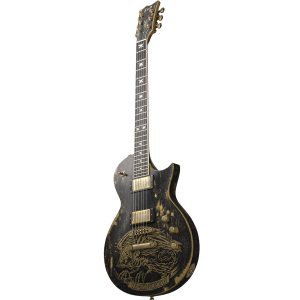 As the guitarist for American metal masters Lamb of God, Will Adler required a guitar that could handle his powerful yet nuanced playing style. 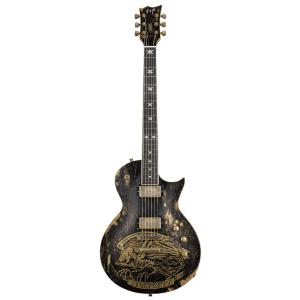 The ESP Will Adler Warbird Distressed offers neck-thru-body construction, with a maple-capped mahogany body, a three-piece thin U-shaped maple neck, and an ebony fingerboard with 22 extra-jumbo frets. High-end components include Sperzel locking tuners and a set of Will's own FISHMAN Fluence WA Signature pickups. 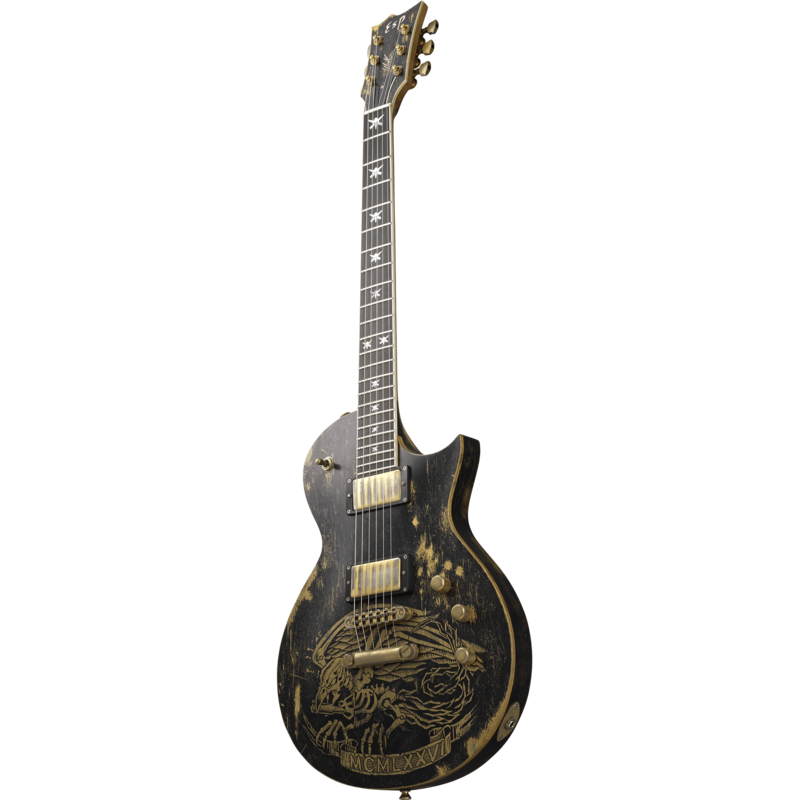 Includes premium hardshell case and Cetificate of Authenticity from ESP. Available in highly-distressed Black with Will's Warbird graphic.